You’ve never had formal singing instruction in your life, but you would like to learn how to sing? You also don’t want to spend any money? Here’s the perfect idea for you: watch a few YouTube channels that focus mainly on singing for beginners and those who are looking to improve their vocal techniques. 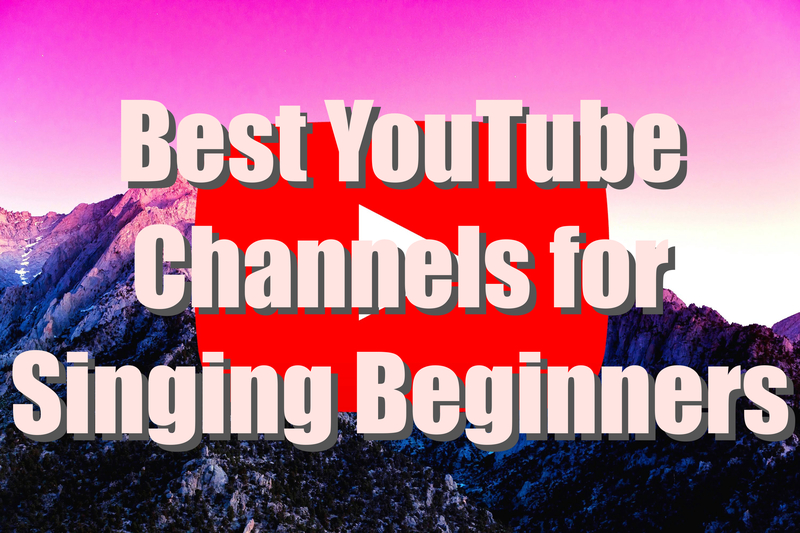 Below are just a few good examples of the vast variety of YouTube channels that focus on singing for beginners. Eric Arceneaux has over 30 videos just dedicated to people who are beginners to singing and all the singing techniques you can use. He has over 360,000 subscribers, so he is definitely no joke! In his video, he talks about how he is a vocal coach while his students are on TV, Broadway, and have even been signed to record labels. In the video, he goes over multiple warmups like how to stand, vocal warmups, and more. Warmups are essential to anyone, including those who have just decided they want to pursue singing. Felicia Ricci also has a decent amount of videos that provide you with information on how to make your singing voice better, and even how to develop special techniques like belting and how to sing certain songs. She has over 240,000 subscribers as well! In her video, she teaches you one technique on how to improve your singing by using facial expressions. This is very crucial, as well, especially for those who are new to singing and don’t quite know what to do with their face. Facial expressions can really turn an audience on or off- if you look miserable, chances are the crowd will look miserable too. However, if you look like you’re having a ton of fun, audiences will really enjoy that as well. Charmaine Brown may not have a lot of subscribers, but I think she has a lot of interesting videos that are very helpful, including what to do with the flu, how to blend, and even how the vocal cords work. After you watch some of the YouTube channels above, I think you should watch her afterwards because hers is still good for beginners, but not the best place to start off. In her video, Charmaine Brown goes over how exactly vocal cords work, which to new and old singers can be very fascinating. It’s cool to know this information because whether or not you’re interested, it’s always fun to know how exactly these sorts of things work. 2. Do you really need vocal lessons to improve? After you’ve answered all these questions, then proceed to watch the rest of the video. The rest of the video is going over all those questions and really breaking it down, and how it’s okay to want or need vocal lessons. He goes on to explain how stuff like this does take time and effort because nothing will be perfect the first time around. But as the old adage goes, practice makes perfect. Howcast is a great “how-to” website. They have an entire section dedicated to people learning to become better singers or singers period. They have over 30 singing videos and are a widely watched channel due to their 4,000,000 subscribers. This video is just the first step into making sure you’re really getting the exercises you need for your voice. It’s one of the most simple exercises, but one of the most effective. Scales are the “gateway” into improving your vocals and learning how music and singing really works.